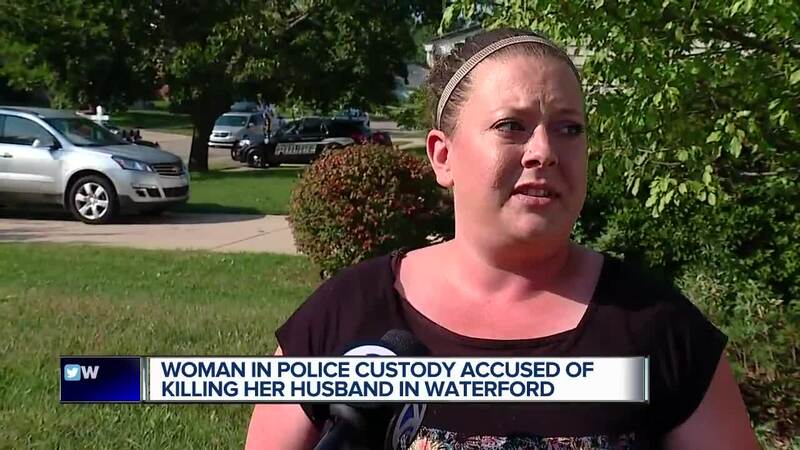 Folks in a Waterford neighborhood are still in disbelief after a 51 year old woman called police and told them she shot her husband. Neighbors say this is a quiet neighborhood, never any problems or issues in the past, so to hear something like this happening is shocking. Larry Ivory just moved into the neighborhood a week ago. "Just normal people as far as I can tell," Ivory said when talking about his neighbors across the street. "I spoke to him once and I’ve seen her around quite a few times," he said. After hearing sirens, Larry looked out his window and saw multiple Waterford Police cars. "A few minutes later I saw them walk a woman over to a police car, she was handcuffed at the time that’s pretty much it," Ivory said. 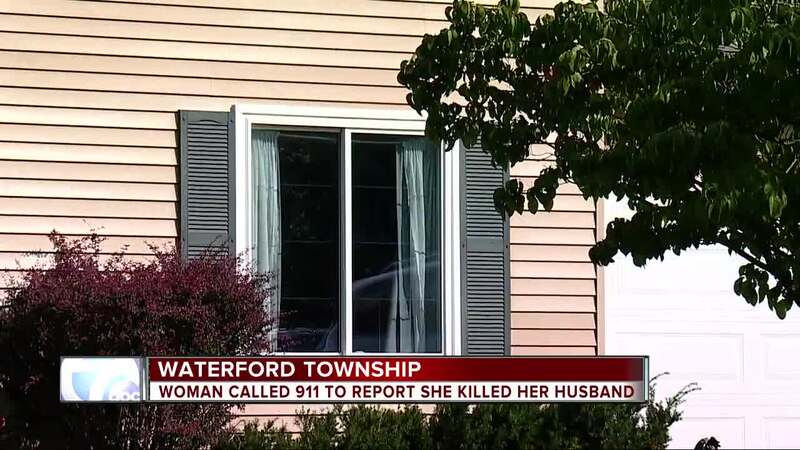 Waterford Police Chief Scott Underwood says around 11:42 am, a woman called police saying she killed her husband. "I came home my Mom was relaxing in the living room and she said she may have heard something cause I automatically figured something like that happened," said Andrea Campbell who lives two doors down. When officers arrived at the home on the 11-hundred block of Meadowood, they found a 45-year-old male dead in the backyard. A source telling us he was shot in the back of the head twice while sitting in a chair. "It’s just scary because you never know, now a days," Campbell said. Police recovered a semi-automatic handgun at the scene. We’re told the couples younger son was home at the time and wasn’t hurt, he’s now staying with family members. Neighbors say after this tragedy they really feel for the boy. "I just feel sorry for the child, I don’t know what else to say, but these things happen you can’t prevent them you don’t know what’s going inside over there," Ivory said. Waterford police continue to investigate.